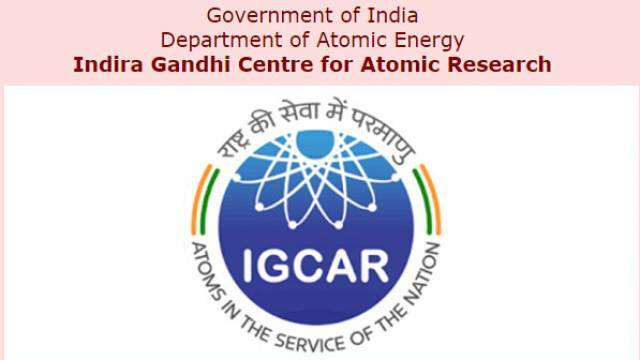 Indira Gandhi Centre for Atomic Research (IGCAR) has released a notification for the recruitment of Trade Apprentices on 130 various vacant posts. The IGCAR Trade Apprentices Recruitment 2019 online application will start from April 10, 2019. However, the official notification for recruitment is available on the Official website. The eligible and interested candidates who wish to apply for the IGCAR Trade Apprentices Recruitment 2019 should visit the official website & carefully read the complete advertisement to know the recruitment process like the detail of posts, educational qualification, application fee, selection process, important dates, age limit etc. How To Apply For IGCAR Recruitment 2018: The willing applicants may apply online through the official website from 10 April 2019 to 24 April 2019. Applicants can apply online through the website on or before the last date. Keep checking the Safalta education portal for more updates regarding job alert, exam board and Study Material for exams. Selection is based on Walk-in-Interview.